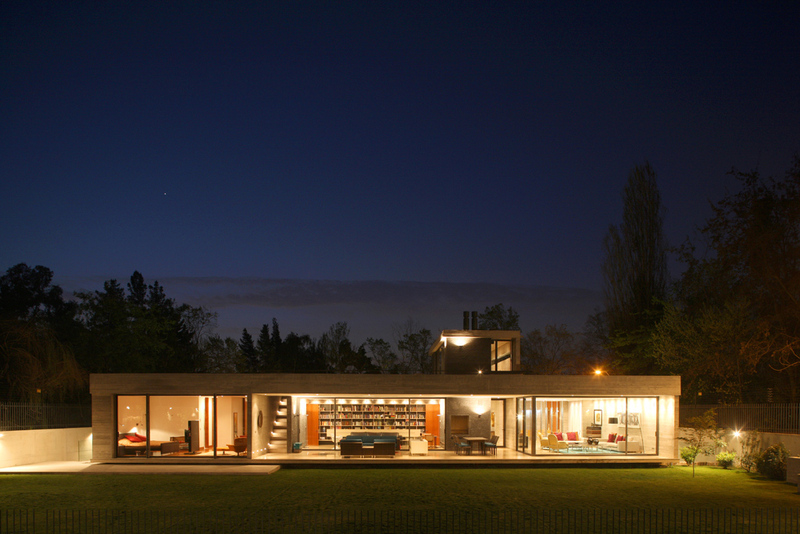 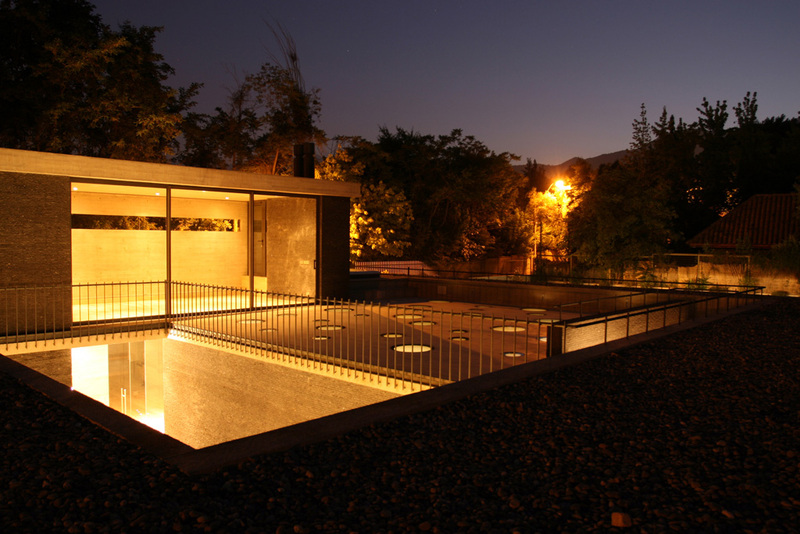 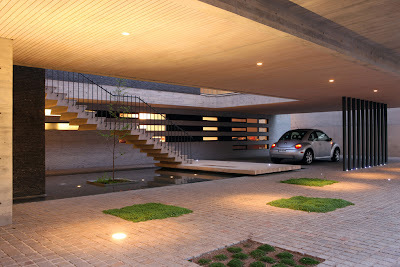 Amazing concrete house design is simple and clear. 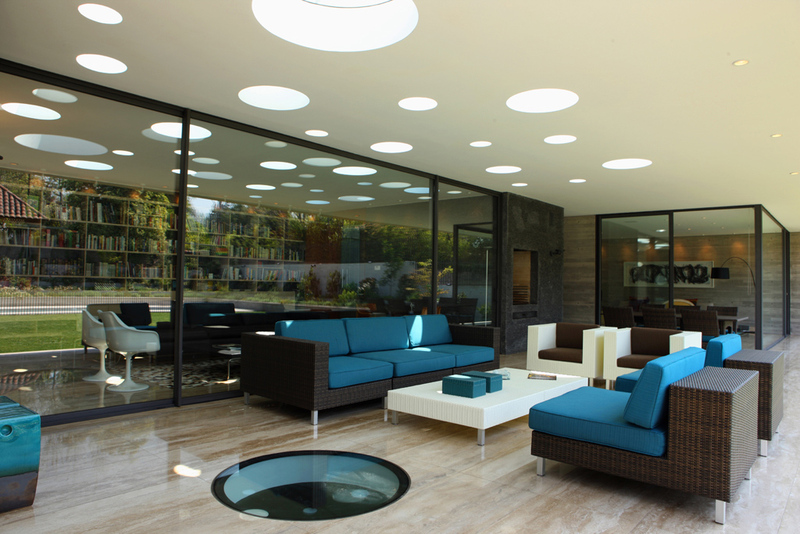 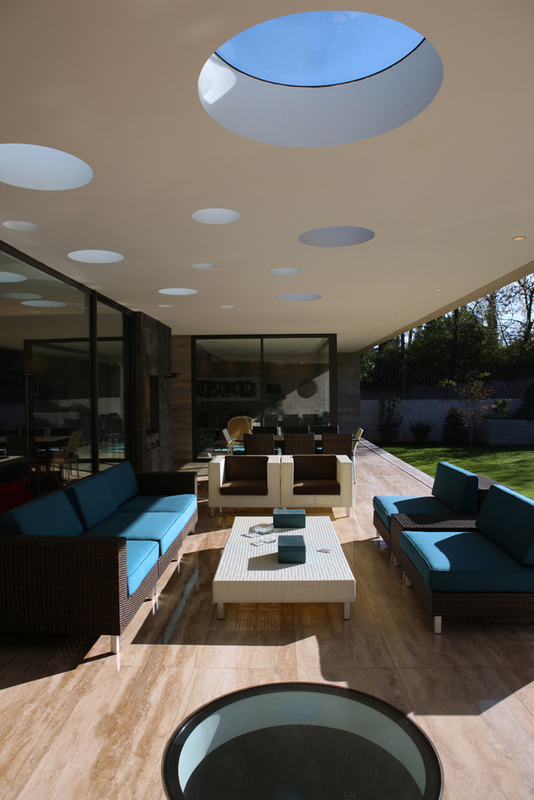 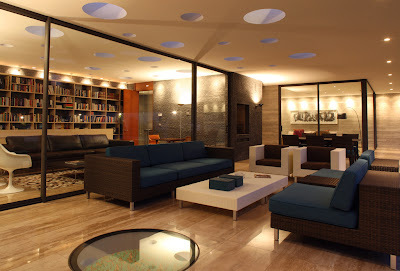 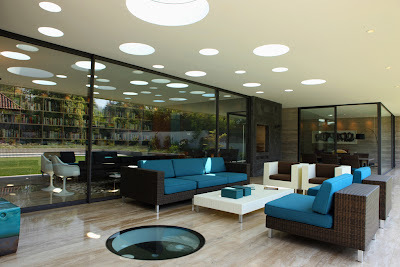 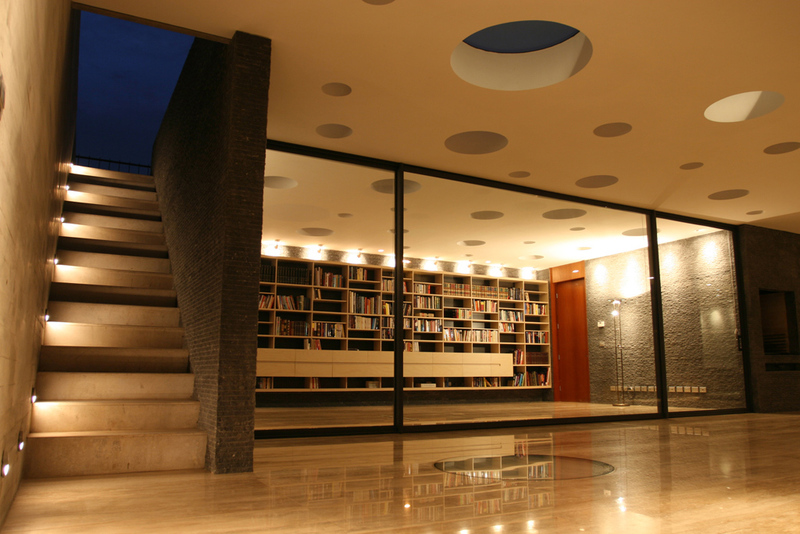 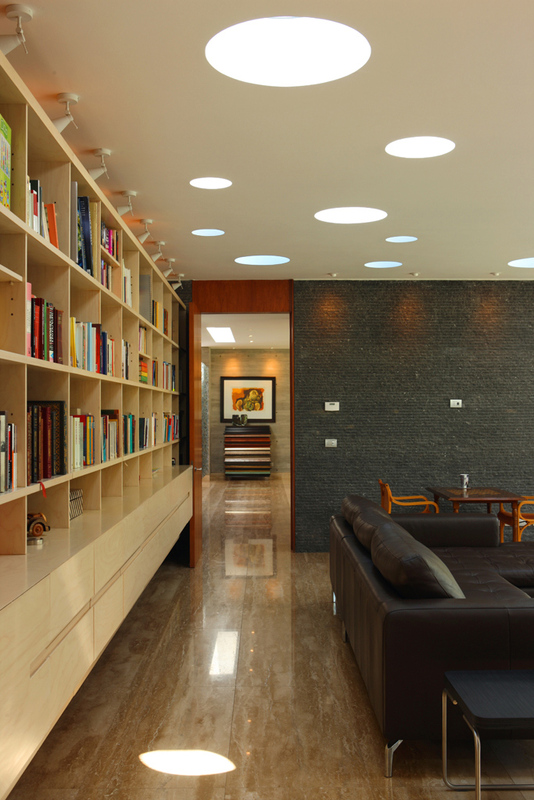 The circle roof openings spread the sunlight, creating abstract and pure atmosphere in the house. 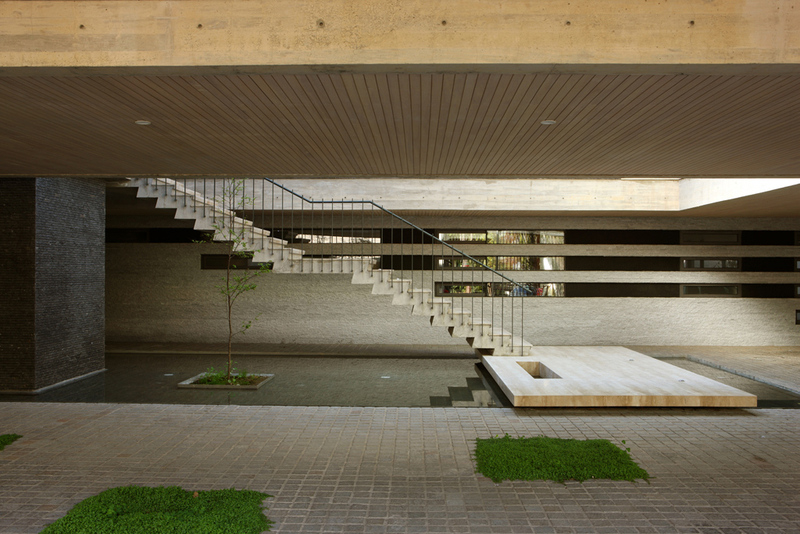 Central patio generates entrance through the staircase and connects the houses three stories. 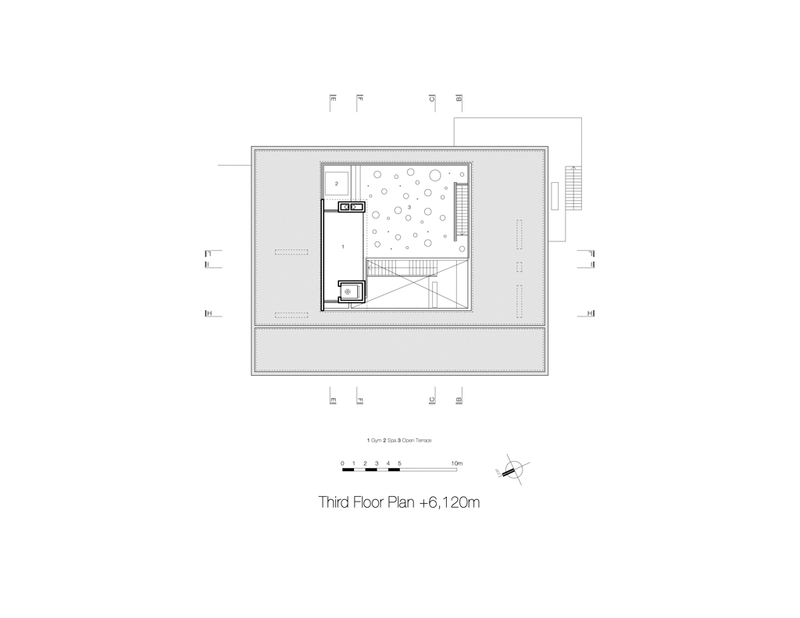 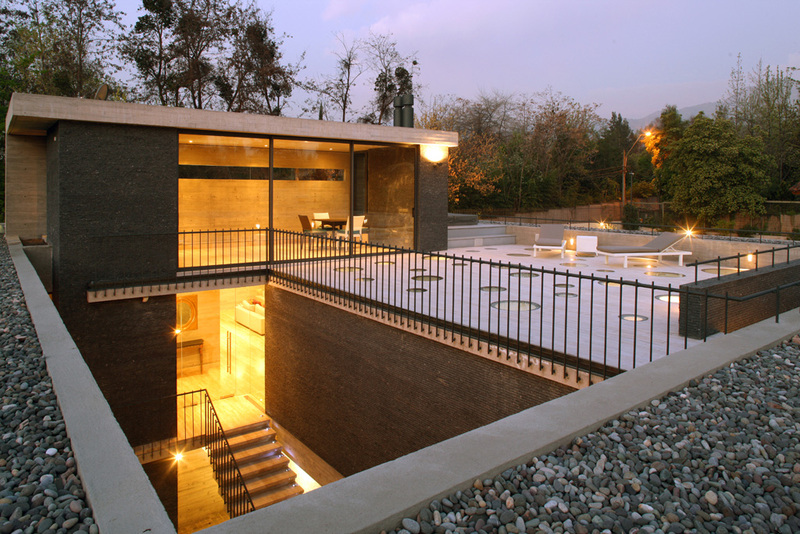 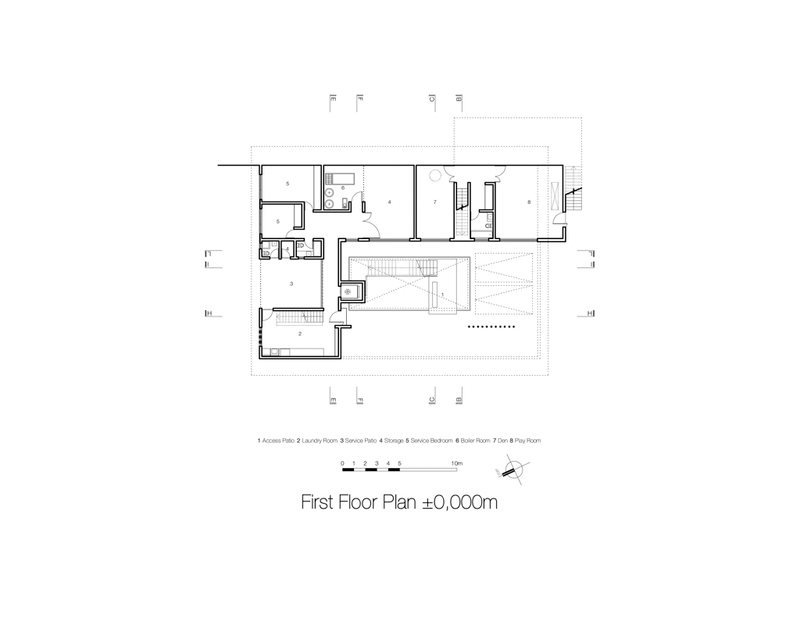 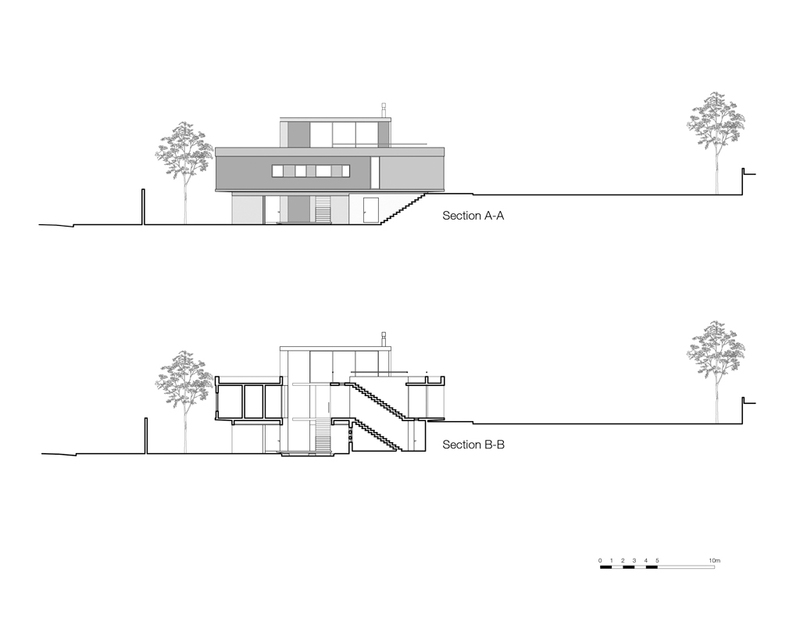 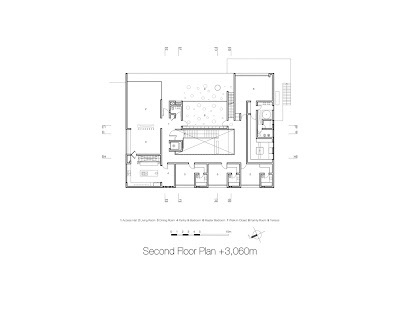 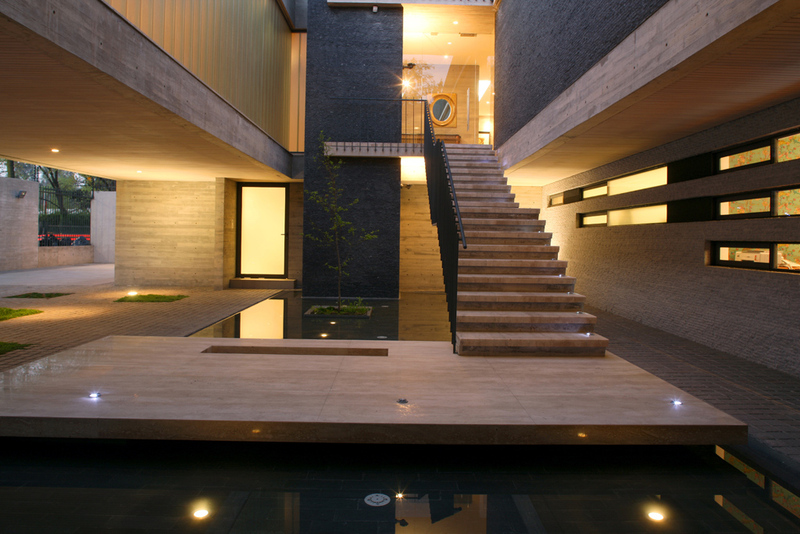 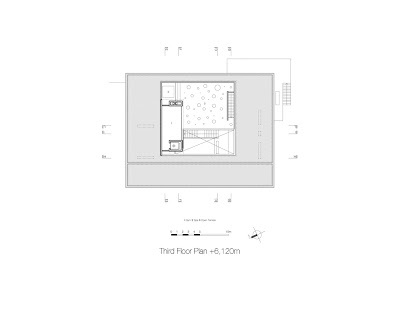 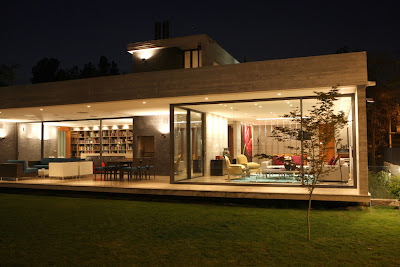 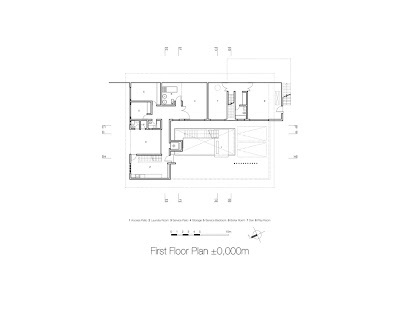 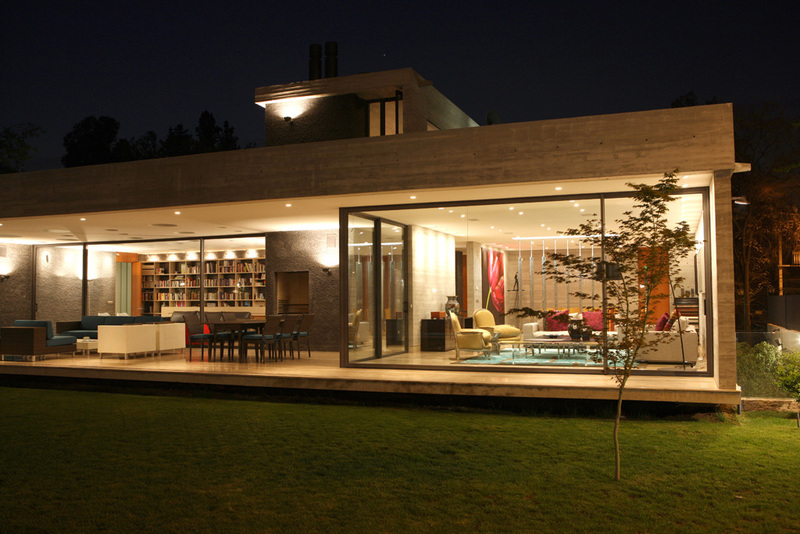 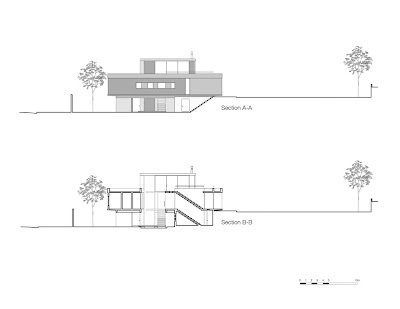 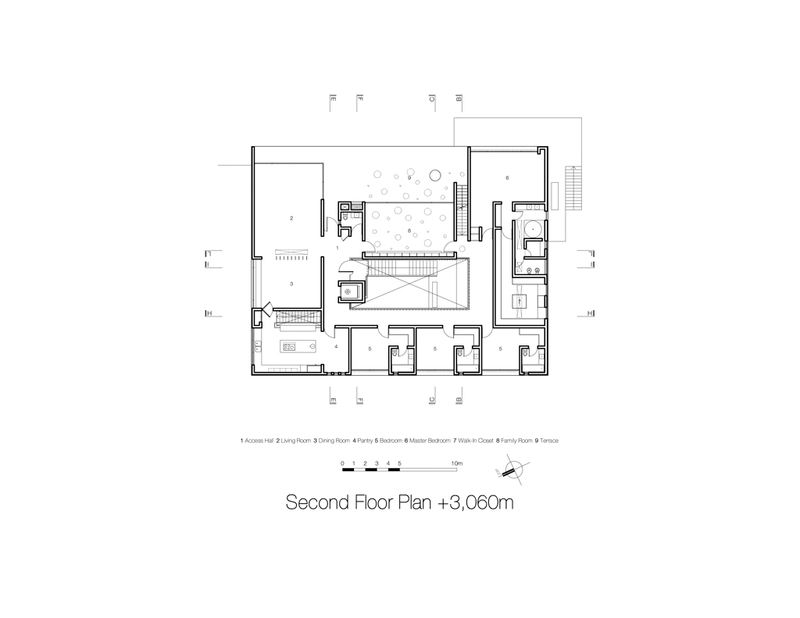 The house relates three exterior spaces: garden, roof terrace and plaza, allowing exteriors for a pretty big area.